August 23, 2015 lulu24 Comments on Gotcha! 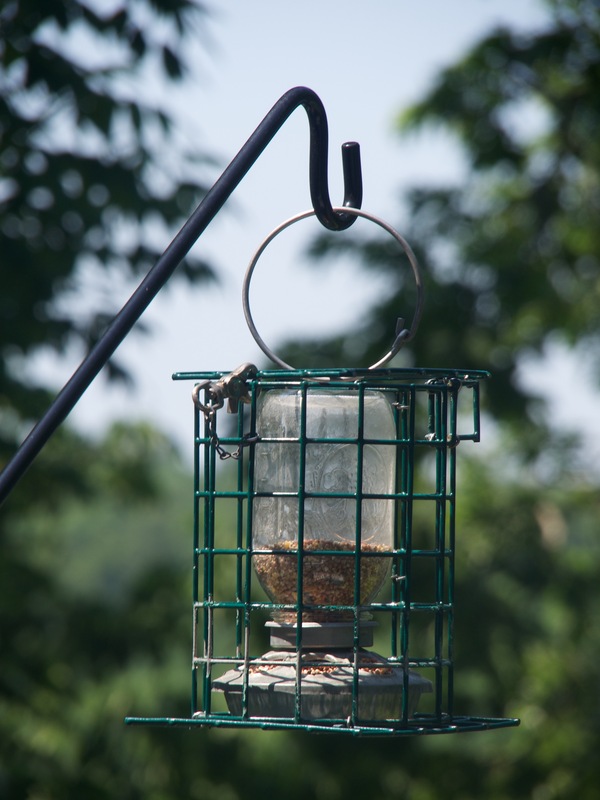 Every day I filled the bird feeder with seed, and every day it disappeared without my ever seeing a bird. and filled its cheeks to the brim. OK, said I, that’s enough, and I sprayed the arm to the feeder with WD40 and waited. What happened next had me in stitches. 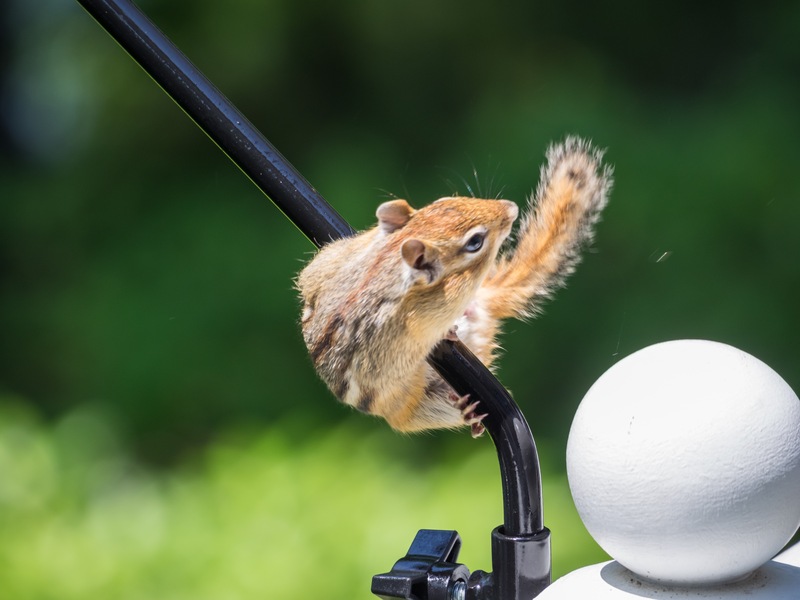 No matter how hard the furry little creature tried to scale the arm to the feeder, it slipped and slid. Ah, I thought, gotcha! I felt very satisfied until the hubby pointed out that the WD40 would wash off and we needed a more permanent solution. and then it hopped right over not to be denied a midmorning snack. 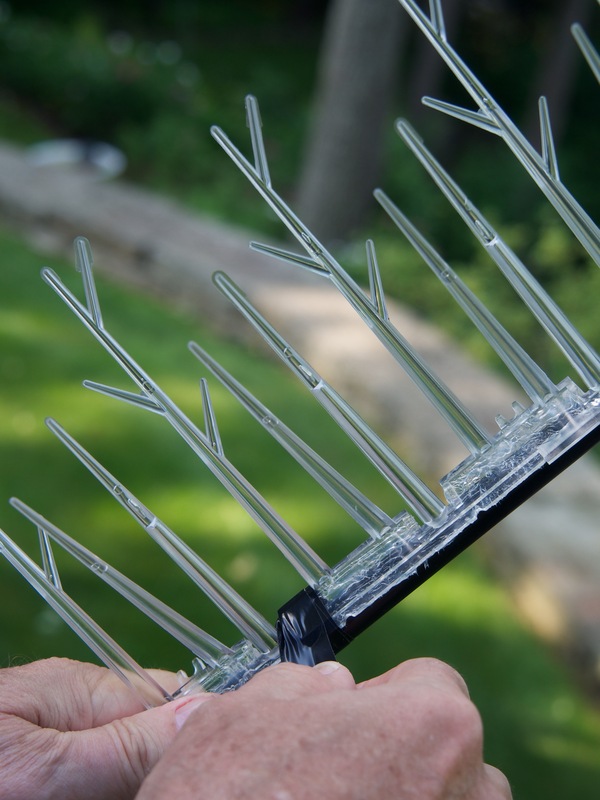 Next, the hubby tried attaching a spiked piece that would surely stop the little rascal. No problem. 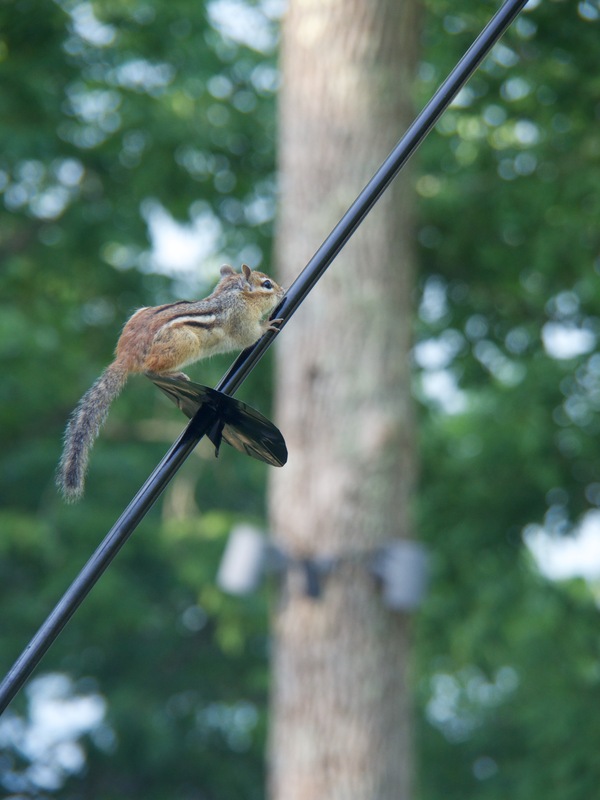 The chipmunk danced around the spikes and went right on up the pole. Now we are really beginning to feel frustrated to continually be outsmarted by an animal no bigger than our hand. 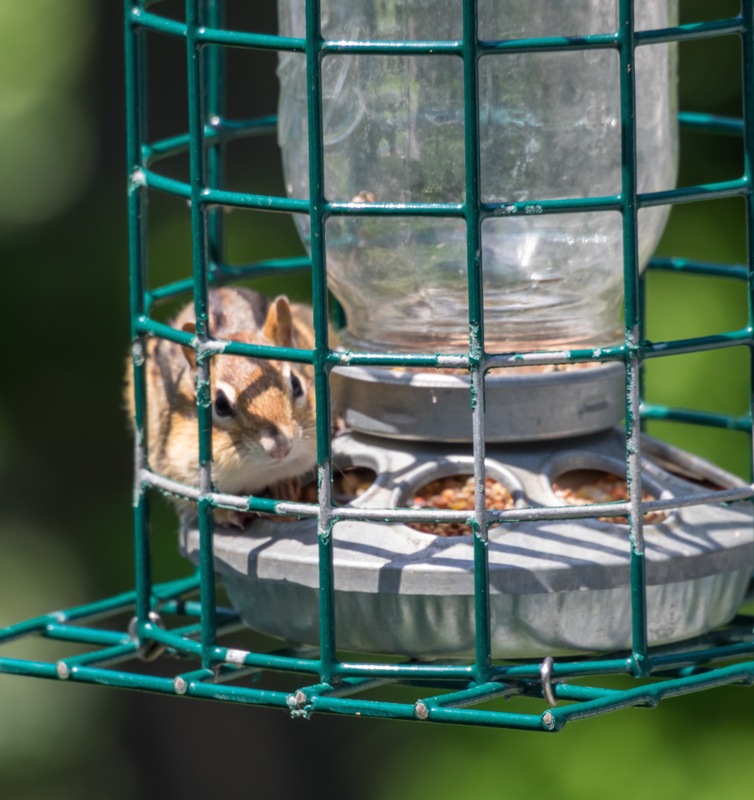 The battle between us and the chipmunk went on for several days with the chipmunk coming out the winner until we found a very simple solution….a new bird feeder that it couldn’t balance on or get into. 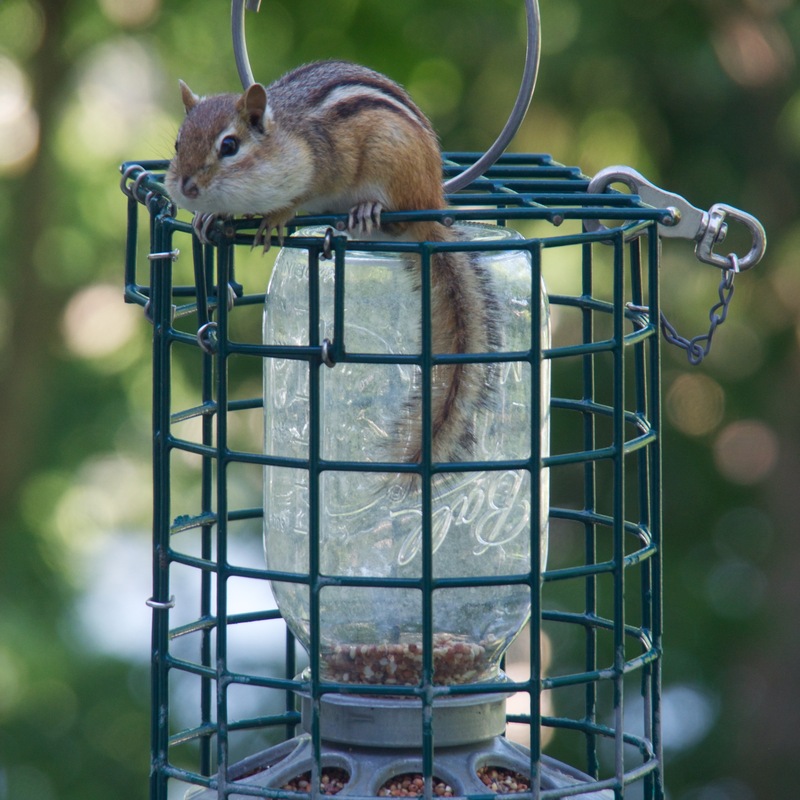 Now the seed is enjoyed by our feathered friends and the chipmunks run around on the ground gathering whatever seeds fall on the ground. I know three little boys who would love this story! They would have gotten a kick out of the chipmunk’s antics. Might have also scared the little rascal to death! He actually proved to be a pretty good subject. You had me laughing with this one! Great photography! For such a simple solution we jumped through a lot of hoops but that was part of the fun! Knowing you got a chuckle made me happy. 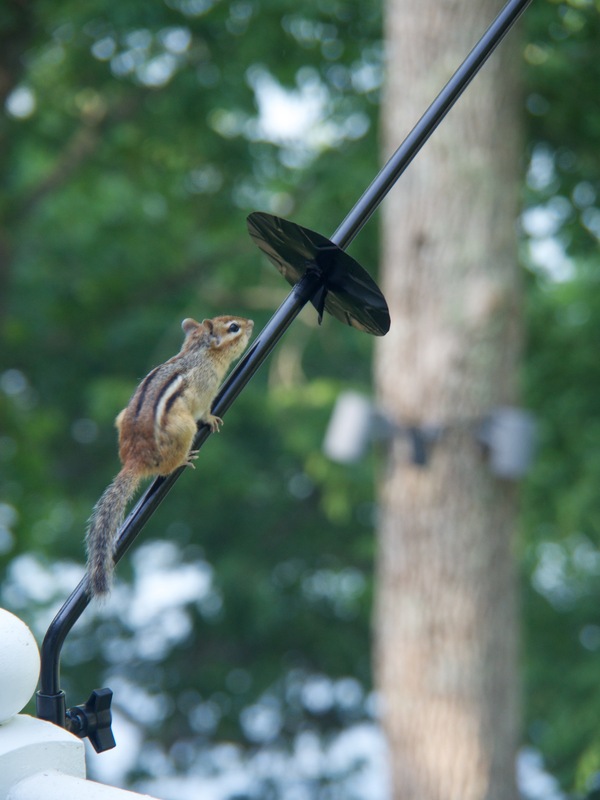 I thought for a while the chipmunk was going to win the battle. Oh poor little thing! I can relate, we have squirrels everywhere that dig up my plants, knock over pots and spill dirt all over the patio! They drive me wild! Before dealing with the chipmunks we had to deal with the squirrels which ate even more of the food. Moving the feeder got rid of them easily enough. 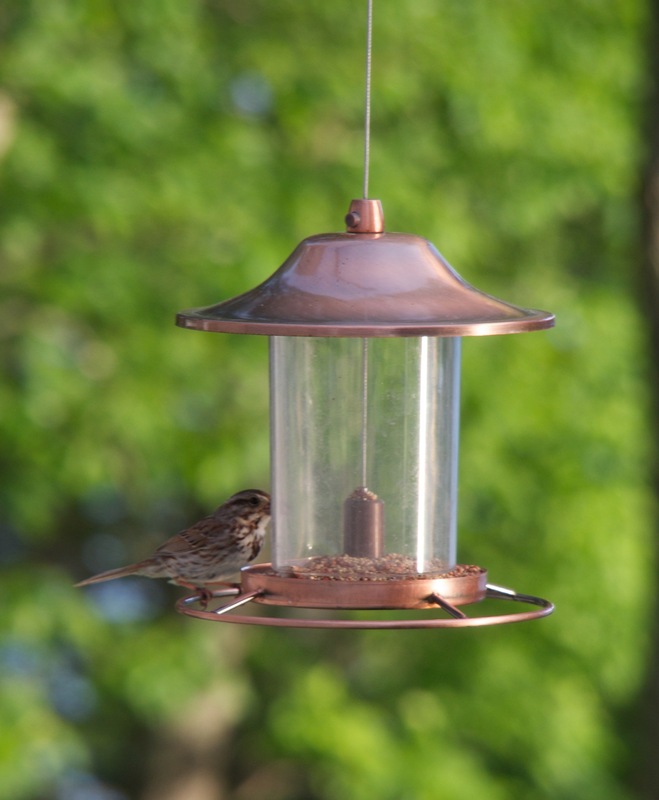 They are clever little rascals…Love the new feeder and the birds surely do too! You know the engineer in him has to come out no matter what the problem! In the midst of frustration I feel certain giggles overcame you as that clever chipmunk bested you over and over. We marveled at your (ineffective but TOTALLY innovative) creativity!!! Now if you can help solve our wasp problems on the balconies of our 35th floor hacienda we would be forever grateful!!! There is no detectable nest. They swarm and land but there is very little to entice them up here. We got one one of those one way valve sets and set 3 ‘traps’ out and followed the directions explicitly all to no avail. Since you came up with some great ideas, maybe, just maybe you have a solution up your sleeve!!! Whoa, wasps. I don’t know that we are clever enough to help with that problem! Loved the photos that went with this tale!